The fourth week of Donald Trump’s presidency has been a whirlwind. His top national security official was forced to resign due to scandal, members of his campaign staff have been accused of having contact with senior Russian intelligence officials during last year’s election, and there have been reports that various members of the White House have been knifing each other in the press. 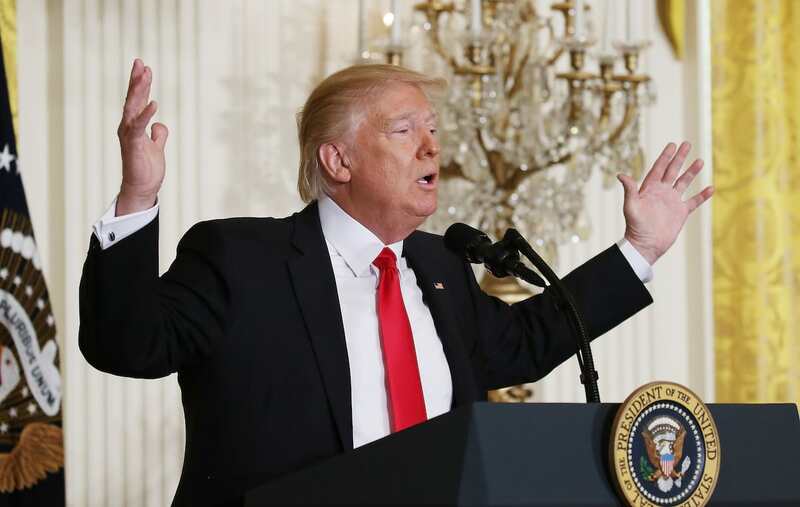 So on Thursday, Trump decided to give an impromptu press conference – it ended up being perhaps the most controversial press conference of his presidency, if not in political history. The president denied the White House was in chaos, saying his administration was ‘running like a fine-tuned machine’. He said he’s made ‘incredible progress’ on fixing the nation’s problems so far, goaded journalists and called Obamacare ‘a disaster’. The 9th Circuit Court that upheld the stay on his Muslim ban was ‘in turmoil’, he said, before arguing with a CNN journalist about whether it was ‘fake news’ and calling the media ‘out of control’. He also refused to explain why American officials found that his aides had repeatedly been in contact with senior Russian intelligence officials. Finally, he contended he would sign a new executive order on security, while still fighting the courts on his travel ban – but not before he said he had been briefed that a nuclear war would be a ‘bad thing’, which he said ‘would be like no other’. The U.S. President said he wanted to ‘do the right thing for the world’ by building a relationship with Russia in order to avoid a ‘nuclear holocaust’. As expected, his controversial statements did not appease to everyone – namely, Fox News anchor Shep Smith. 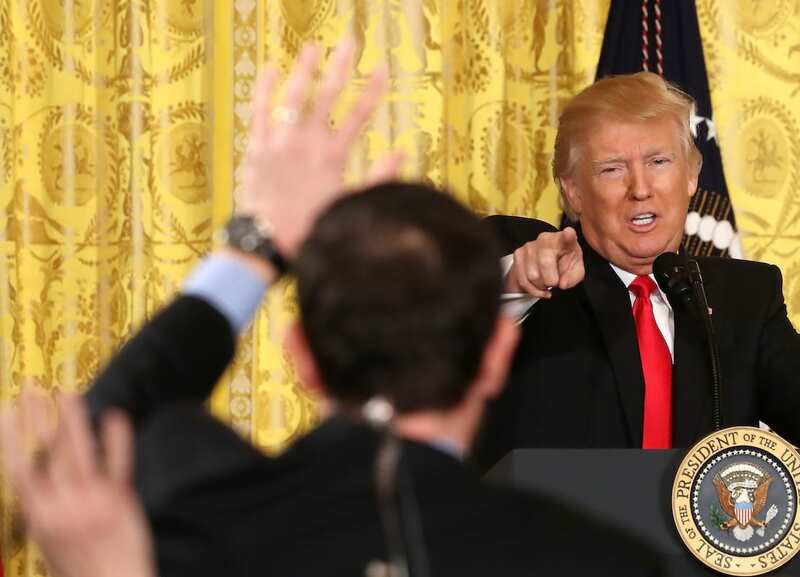 After Trump berated journalists during the conference, telling them directly: “You’re dishonest people,” Smith slammed Trump on-air for ignoring questions about his ties to Russia. It’s absolutely crazy. [Trump] keeps repeating ridiculous throwaway lines that are not true at all and sort of avoiding this issue of Russia as if we’re some kind of fools for asking the question. Really? 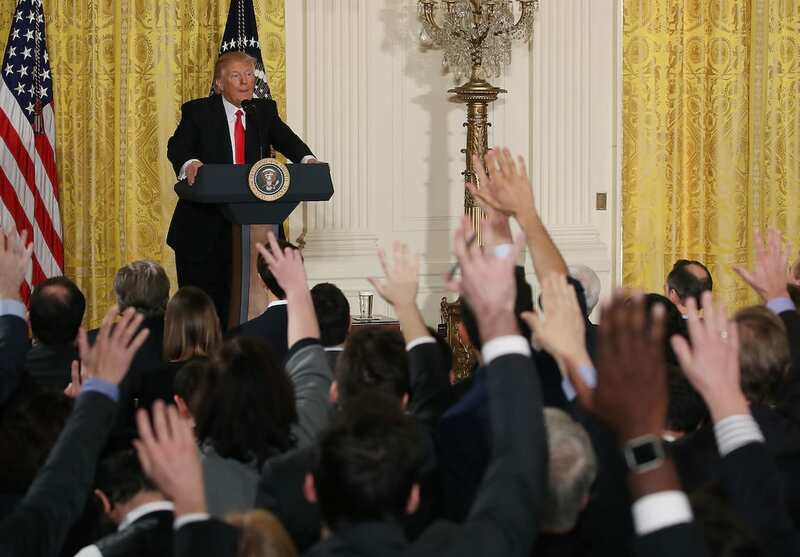 Fox has been in good stands with the president, with Trump describing Fox & Friends as ‘very honorable people’ during Thursday’s press conference. But that didn’t stop Smith from speaking his mind about the president’s failures to address facts. Your opposition was hacked and the Russians were responsible for it, and your people were on the phone with Russia on the same day it’s happening, and we’re fools for asking the questions? No, sir, we’re not fools for asking the questions, and we demand to know the answer to this question. You owe this to the American people. You're part of the fake news Shepard Smith @ShepNewsTeam. You've been a non-stop critic of Trump, spouting false innuendo & a biased slant. Well, I don't want to say this but, Today will be the last time I watch @ShepNewsTeam Shepard Smith! He should go to CNBC or CNN! Not FOX! His comments may have been controversial, but are they wrong?